Fuel supplies throughout the whole country with our own fleet of 11 tankers. 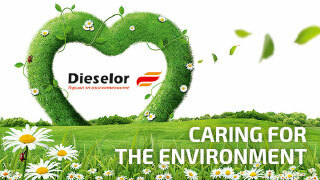 Be one step ahead of the other with Dieselor’s fuels with guaranteed quality! 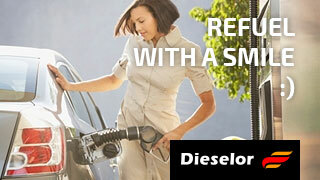 Travel more with a discount from petrol stations Dieselor! Ask our staff how to get your discount card! For discounts for corporate needs, contact our team in the nearest office! The sales team successfully serves clients throughout the whole country. Contact us for an inquiry or an exert advice now! We offer a wide range of fuels for every sphere of our lives - from private needs, through agricultural consumtion to corporate and manufacturing usage. We trade with liquid fuels for road vehicles, road and off-road equipment, for heating with lower excise duty. Load 20 l of fuel in petrol stations Dieselor and get a gift. Take your discount card and load fuel with 12 st./l less. 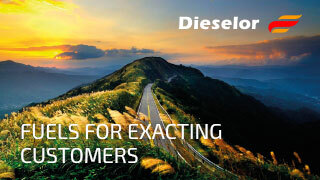 Find on the map and learn more about each of petrol stations Dieselor. We are expecting you in Sofia, Plovdiv, Varna, Stambolijski and Novi pazar! Delivery of liquid fuels to tanks of the customer. Retail sales from a chain of petrol stations.